Basic Health Publications, 9781591203704, 800pp. For readers who want to know which illnesses best respond to nutrition therapy, and how and whey that therapy works, this book will be a must-read. 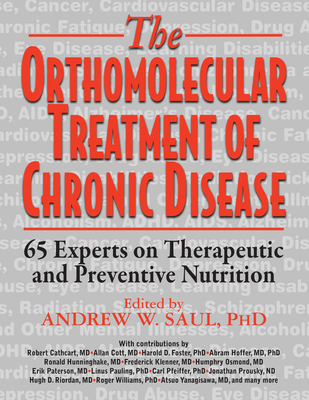 The principles of orthomolecular medicine and the science behind them, the pioneers and clinical and experimental evidence from expert researchers and clinicians makes this the complete book on this important subject. Andrew W. Saul, M.S., Ph.D., is editor-in-chief of the Orthomolecular Medicine NewsService and is on the editorial board of the Journal of Orthomolecular Medicine. Has published more than 180 peer-reviewed articles and has written or coauthored 12 books.